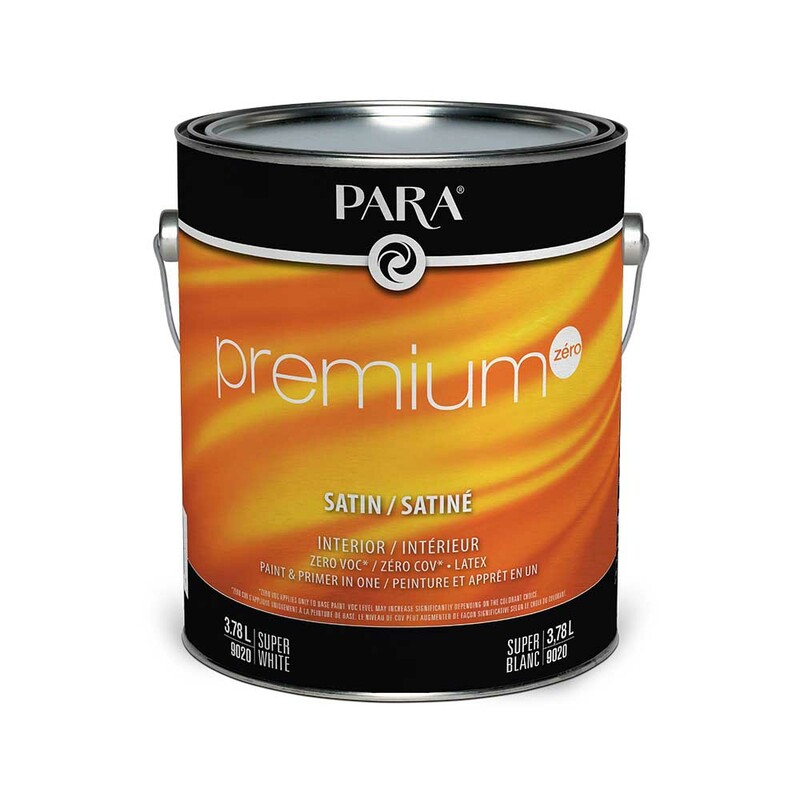 This premium quality interior satin, Zero VOC coating* is a paint and primer all in one product that offers a washable, scrubbable and durable surface with high hide, smooth application, excellent touch-up, and is intended for interior drywall, wood, cured plaster, masonry, metal and previously painted surfaces. It is ideal for walls and ceilings of any room in the house. Also ideal for schools, health care facilities, commercial repaints, and new construction. Zero VOC applies only to base paint. VOC level may increase significantly depending on the colorant choice.